Are you a 200 hour qualified yoga teacher who wants to deepen in your practice, and in your teaching? Do you want to take your work and instruction to the next level of depth and heart in 2019? Or are you a dedicated yogini who wants to learn more about the Yoga of wisdom and the Yoga of devotion? If yes, this is a rare opportunity to study and practice with Lorraine in the UK. During the training, you will work with tantra, sacred dance, fire ceremony, devotional kirtan, and opening your voice. You will deepen your relationship with the Yoga of wisdom (Jnana) and the Yoga of devotion (Bhakti) by working directly and in depth with two of the great wisdom goddesses: the Mahavidyas and their divine feminine energies, Chinnamasta and Matangi. Daily Satsang will be led by Lorraine’s guest teacher, the acclaimed B Prior, to guide you and hold you in your personal process of transformation. You will engage in slow vinyasa, pranayama, and meditation, perform special women’s rituals, learn and grow together within a non-dual teaching framework. Tempted by the training but want to talk to Lorraine to make sure it’s right for you? Click below to schedule a complimentary consultation. Lorraine has been a dedicated Yogini and lover of Truth for over twenty five years. 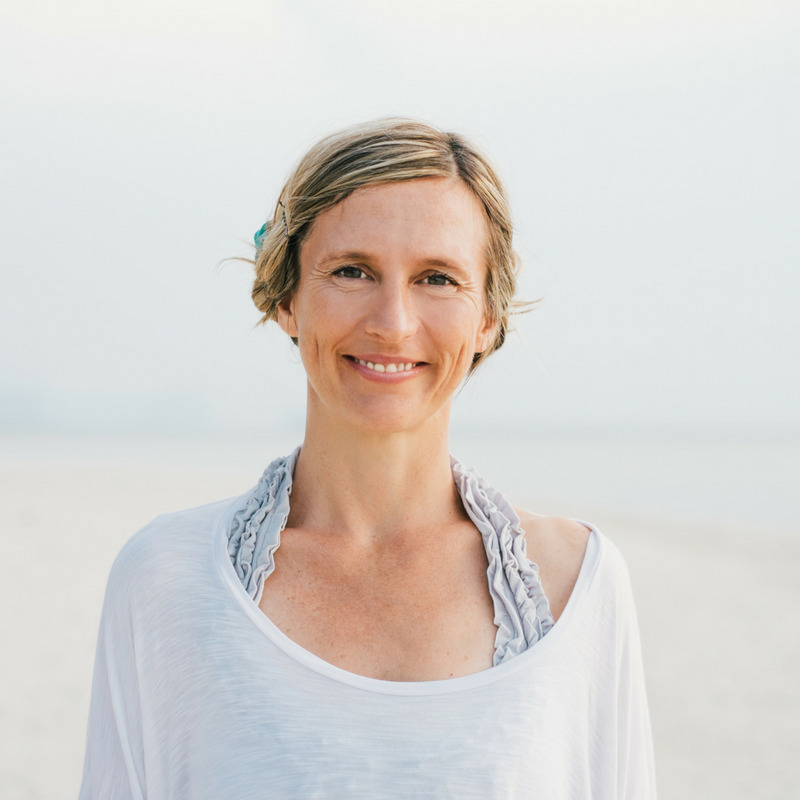 She offers teacher trainings and retreats around the globe and is dedicated to helping people find freedom through Yoga. She specializes in guiding women to practice Yoga in a nurturing feminine way. She is a fully qualified Ashtanga Vinyasa and Tantra Yoga instructor with a multitude of advanced trainings and thousands of teaching hours to her credit. Years of study have led her to discover the depths of the Yogic practice understanding the beauty of the fluid form while investigating the more subtle layers that exist within us on the energetic, mental, emotional, higher mind and blissful levels. Ultimately pointing to what lies beyond which is the true meaning of Yoga. Union. Oneness. Love. B offers a profoundly unique and enlightening perspective on Life from the smallest matters that shape our personal lives to the biggest universal questions of human existence. His teaching and transmission is the Ultimate Calling to awaken as Awareness-Knowing. With true compassion, humour and uncompromising Truth, B brings the highest teaching straight to our core and into daily life. His call is to profoundly awaken whilst living in the world and his discourses cover all areas of Life – relationships, sexuality, work and creativity, parenting and children, all brought to an awakening heart of Conscious Awareness. Please keep in mind that spaces are limited, so early registration is important to ensure your space on the course. Payment details will be sent to you upon receipt and approval of your application.